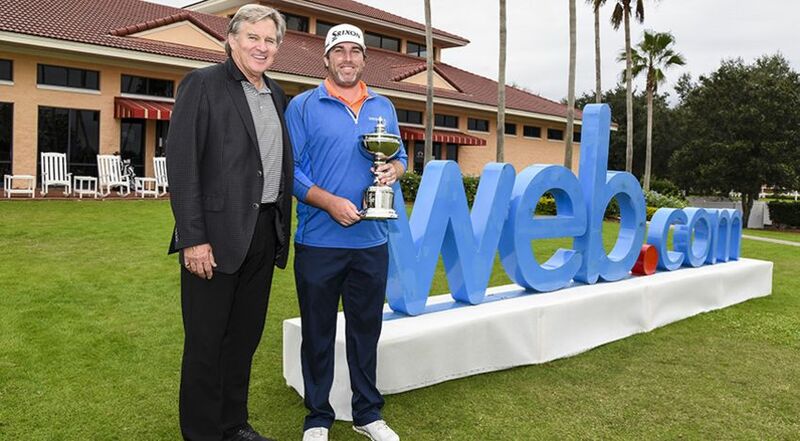 WINTER GARDEN, Fla. – Jim Renner came from three shots back with a final-round, 9-under 63 to take medalist honors at the Web.com Tour Qualifying Tournament at Orange County National. The 33-year-old lives just 25 minutes from the course and proved to feel right at home on Sunday, with seven birdies and an eagle to edge out Taylor Moore by three shots for fully exempt status on the Web.com Tour in 2017. Renner got started early Sunday, making birdie on four of his first five holes on the Crooked Cat course to take the lead. After pars at the next three, Renner went on to birdie the ninth, eagle the 14th, and added birdies at the 16th and 18th to close out his first-ever victory in a PGA TOUR-sanctioned event. Orange County National’s Crooked Cat and Panther Lake courses have been kind to Renner over the years, as this week’s host site was the place where Renner first earned his PGA TOUR card with a T22 finish at 2010 PGA TOUR Q-School. Renner went on to play the TOUR in 2011, 2014 and 2015 and is hoping for a return to the TOUR through the Web.com Tour in 2017 after finishing 84th on the Web.com Tour’s Regular Season money list in 2016 in which he made 12 cuts in 19 starts and posted two top-10 finishes. For much of his career, the 33-year-old veteran said the putter has held him back, but if this week is any indication, that could all be changing, as Renner was second in the field in putts per green in regulation. Like Renner, Moore entered the day well back of the lead, but he saved his best round of the tournament for last with a final-round 65 to jump into solo second. The 23-year-old, who graduated from Arkansas in May, earned his way into Final Stage of Q-School with a third-place finish on the Mackenzie Tour – PGA TOUR Canada Order of Merit this summer, and is hoping to take the next step courtesy of the Web.com Tour in 2017. Fifty-two players in total made up the top 45 and ties to earn their way into at least the first eight events of the 2017 Web.com Tour and won’t be subject to the first reshuffle of the season. This entry was posted in News on December 21, 2016 by Drew Carr. Renner turns in best finish of year so far at Air Capital Classic Renner to take medical leave from Tour to repair torn labrum.